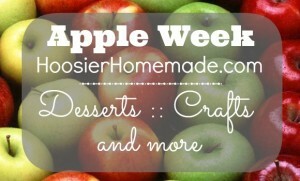 There is a new kid in town and he is stirring up some pretty yummy desserts! Like I mentioned last week when I shared the Caramel Apple Cream Cheese Dip – caramel and apples just go together perfectly. 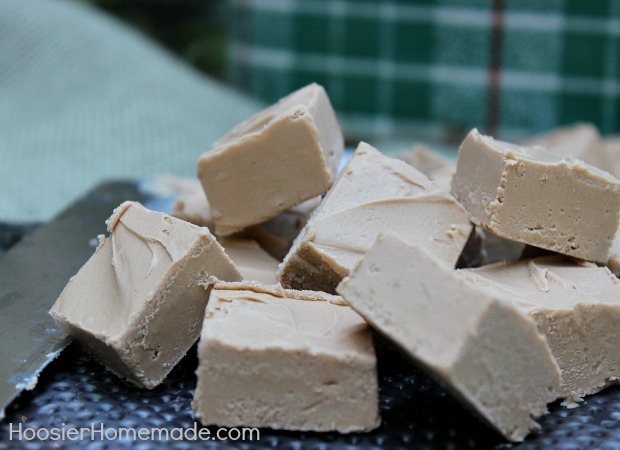 So I’ve been on the hunt for a couple weeks for a way to make Caramel Apple Fudge. Then last weekend while visiting Nick at college and doing a little shopping for him at Walmart, we spotted Pillsbury Caramel Apple Frosting and bingo – I knew right away it would work. 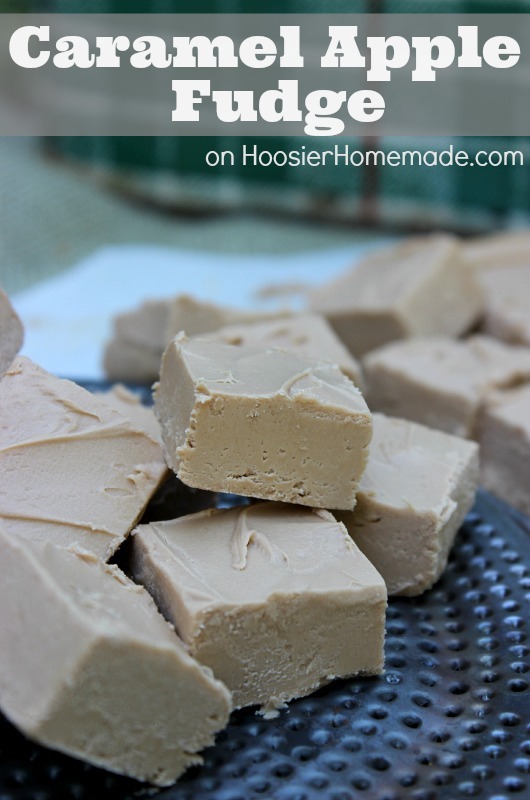 Plus I have been wanting to try the 2 ingredient fudge recipe that I have seen around, for quite awhile. 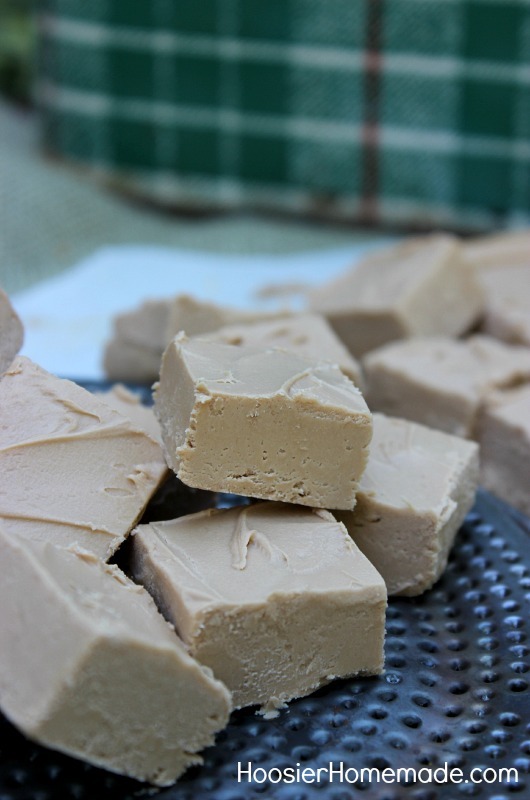 I have never been a huge fan of Fudge before, but ever since making the Cotton Candy Fudge, I have been wanting to try more flavors and recipes. 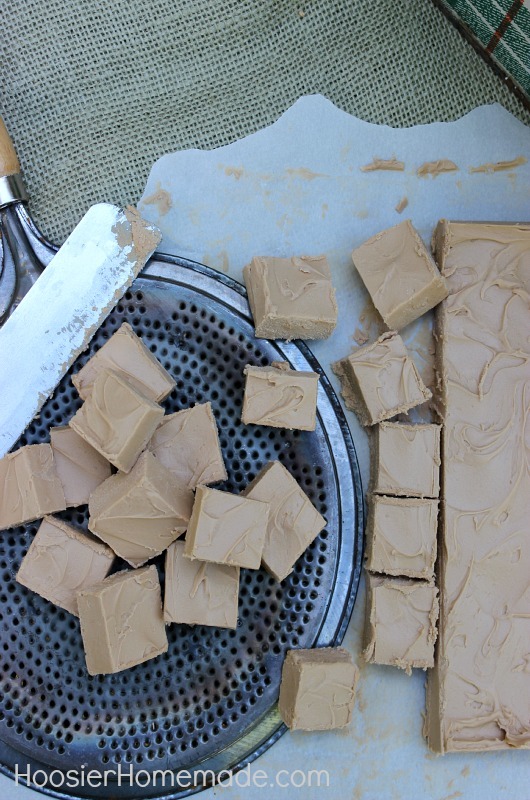 The Caramel Apple Frosting is combined with melted white chocolate chips for a creamy, delicious fudge. It’s super easy and takes only minutes to put together. Then an hour or so chilling in the fridge and you have a special treat to share. This time of year with all the Fall baking is my favorite time. I do love baking at Christmas, but it seems like there are so many other things to do that baking seems to just be squeezed in when I can find the time. This Caramel Apple Fudge would be perfect for a bake sale, to share with friends or neighbors or even pack some up for a Tailgate Party. Everyone is sure to love it! Be warned though, it is pretty rich. Place chips in a microwave safe bowl and heat to melt, about 1 minute, stir then 20 seconds, stirring after every 20 seconds. Don't overheat or the chocolate will begin to cook and get brown. Could you use any flavor frosting or does it need to be that specific type/brand/flavor? Hi Hannah, any flavor will work. Can this be made with Almond Bark instead of white chocolate chips. My daughter is allergic to chocolate. Hi Willis, I have not tried it with Almond Bark. But the consistency is close to the same. It’s worth a try.